Find your Perfect Premium Brand tyres with Tyre Shopper! Find your perfect Premium Brand tyres through Tyre Shopper! 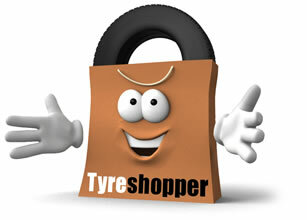 Smart shoppers buy their premium tyres from Tyre Shopper! Premium tyre manufacturers have been developing market-leading tyre products for more than a century. They lead the rest of the market in terms of tyre manufacturing technology and spend billions each year on research and development. There are six brands that are generally categorised as ‘Premium’, Bridgestone tyres, Continental tyres, Dunlop tyres, Goodyear tyres, Pirelli tyres and Michelin tyres. When you buy premium tyres, you are generally buying the best that the tyre industry has to offer. Premium tyres set the standard that all other tyre manufacturers follow in terms of wet and dry grip / braking; cornering stability; noise & comfort; longevity and fuel economy. To this day, premium tyre brands remain the biggest selling brands across the world and for the discerning motorist; their performance and durability provide unparalleled value for money. If you are looking to purchase premium tyres for your vehicle, then please enter your vehicle registration to we can help you find the perfect tyre for your vehicle. If you do not know your vehicle registration number, please enter your tyre size.